Travelling through India is one of life's richest experiences. From the snow-capped Himalayas to pristine beaches on the coast to the cacophonous cities, India's layers of culture are everywhere. Colourful traditions abound, enriching every experience, whether you're standing in front of one of India's great architectural wonders, a cultural wonder or a natural wonder.The choice of the best places to stay in India is as diverse as the culture or the landscape. As you would expect our Gurus are here to help you find somewhere perfect. Delhi is the kind of city you just need to dive into. It can be a confronting cacophony to the senses, but if you go for it you'll find there's even more to this city than the sprawling, chaotic, incoherent, colourful and historic wonder you've been promised. Built and destroyed seven times, Delhi has hundreds of monuments to show for its extraordinary past. In addition to this living museum there are also the streets, the markets, the festivals and all sorts of unexpected appeals. Mumbai's streets can pose a similar challenge to Delhi's. As well as the ancient quarters with the temples and markets and the colonial districts with their beautiful architecture, Mumbai has the wealthy financial district and the fashionable parts of town where Bollywood divas enjoy the same sorts of fun you'd find in L.A.
Jaipur, the beautiful 'pink city' and capital of Rajasthan is a stop on many journeys through India. The old walled city is the historic gateway to this most flamboyant state. The same sea of motorbikes and rickshaws surrounds Jaipur's main sights, but these majestic relics retain a certain peace and you might even manage a moment of old India. As well as the city's buildings, the magical Amber Fort in the hills above is certainly worth a visit. Famous for sunshine and blue houses, Jodhpur is an age-old market city on the edge of the desert and is another highlight on the grand tour of India. Once a key stop on the silk route, Jodhpur is still the region's central market for camels, cotton and cattle. Trade is in this town's blood. It feels like you can buy anything and everything in the mass of shops and stalls which spread out from the Clock Tower in the centre of town. The Mehrangarh Fort, with its epic stone walls and many palaces inside and the 20th Century sandstone palace of Umaid Bhawan are Jodhpur's two other main landmarks. Udaipur, sitting beside the still beauty of Lake Pichola and surrounded by the Aravalli Hills, is another wonderfully atmospheric place to try and visit. As is Srinagar, with its historic gardens and wooden Kashmiri mosques, textiles capital Kutch and seaside Diu in Gujarat. The iconic Taj Mahal is probably India's best-known landmark. Located on the banks of the Yamuna River in Agra, this 17th century mausoleum is a truly wondrous sight featuring breathtaking architecture and magnificent gardens. The stunning Mehrangarh Fort is an absolute must-see if you're in Jodhpur! Brimming with architectural splendour and opulently decorated interiors, wander around with an audio guide to make the most out of your visit. The Ajanta Caves are a series of 29 rock-cut caves dating all the way back to the 2nd century. Yet another UNESCO World Heritage Site in this list, it's bound to impress with its diverse array of sculptures and artwork. If you're interested in India's rich religious life then take in the Harmandir Sahib in Amritsar, the Gurudwara Bangla Sahib in New Delhi or the Swaminarayan Akshardham (also in New Delhi). As well as holding immense religious significance, these are stunning buildings to visit if you're into architecture. As always, be sure to book ahead if you want to guarantee yourself a room in one of the best places to stay in India. Built in 1903, The Taj Mahal Palace has hosted Maharajas, Viceroys, Heads of State and stars of music and screen. Looking out onto Mumbai's Gateway to India, it is home to significant art and has one of the loveliest gardens and pools in the world. Delhi's Imperial dates from the days of Gandhi and Mountbattan but has been modernised in a way which complements the colonial and Art Deco foundations. Floors are marble, furniture is teak, whilst there's also a fantastic restaurant and spa. There is a collection of over four thousand artworks and artefacts. The Leela Palace is a grand hotel in Delhi's Diplomatic Enclave with all the accoutrements of luxury you'd expect from a palace: marble floors and columns, elegant rooms, enormous public spaces and a world class spa. Jaipur's Raj Palace was formerly the Maharajah's palace and is now a fabulous luxury hotel. It has been exquisitely restored with immense attention to detail using the finest materials. Rooms and suites are bedecked with original furniture. The excellent restaurant houses a unique collection of china and the Swarkovski chandelier is the largest in India. Another of Jaipur's former royal abodes is the Rambagh Palace. This was once home to the Maharaja of Jaipur. You really feel like royalty here amongst the marble floors, beautiful colonnades and acres of lush grounds - garlands on arrival are standard. As well as being on the highlights of any visit to Jodhpur, the Umaid Bhawan Palace is also one of the best places to stay. Built by the grandfather of the present Maharaja this wonderful building with vast proportions is famous all over India. Set in 26 acres of lush gardens, everything here is elegant and luxurious, from the squash courts to the billiards room and yoga studio. Set in three acres in the city's diplomatic zone, The Claridges is a New Delhi classic. This traditional lap of luxury is great if you're looking for somewhere to relax - as well as all the greenery and generous Indian hospitality, this hotel has a beautifully designed spa. Samode Haveli in Jaipur is a quaint spot in the middle of a lively city. Built around a central courtyard pool - which somehow manages to feel quiet and secluded - this is a romantic place to stay. Ajit Bhawan Palace, set in a former Maharaja's royal residence, is a tranquil oasis from which to see Jodhpur. With accommodation ranging from tents, to cottages, to lavish suites, there's something here for everybody. Come back to unwind in the spa or go for a dip in the pool. Hotel de L'Orient is a quaint colonial-style 18th century property, offering rooms featuring antiques, four posters and printed fabrics. 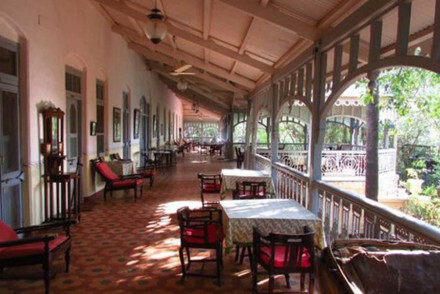 Tuck into lovely Creole and Continental dishes before heading off exploring Pondicherry. The Manor is a 1950s style bungalow in a lovely residential part of Delhi. The restaurant does fusion food, served on a relaxed roof terrace. Samode Palace is a traditional Rajput palace in the hills above Jaipur. The views are incredible, but so is the hotel itself, with individually decorated rooms and terraces. Samode Bagh is a luxury tented village just outside Jaipur. These aren't just any tents though, their impressive canopies are filled with antique furniture, four poster beds, and they even have marble bathrooms. The food is wonderful, and local, whilst the grounds are a real pleasure. Built as a hunting lodge in the Art Deco style of the 30s, the Sardar Samand Lake Palace is still a favoured summer retreat of the Royal Family. Built beside a lake which keeps it cool means this is a fantastic place for birdwatchers. 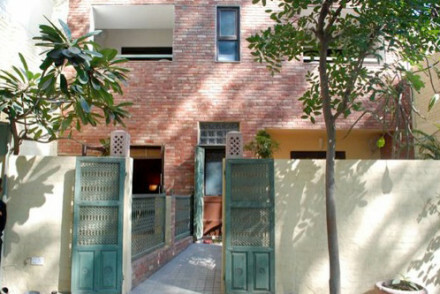 Maidens is Delhi's oldest heritage hotel, a tranquil haven amongst shady trees within walking distance of Mughal monuments and the shopping of Chandi Chowk. Lutyens Bungalow is built in Lutyens' New Delhi, in his old Colonial style, with a large garden, a vegetable patch and a swimming pool. Plus, the crazy noise of the city is drowned out by the birds that flock to the magnificent shady trees in the old gardens. Rooms are simple and comfortable. Kids under 4 stay free. The InterContinental with 58 rooms is smaller and cosier than Mumbai's other big name hotels, but just as luxurious. The famous Dome Bar on the roof has incredible views over Marine Drive. 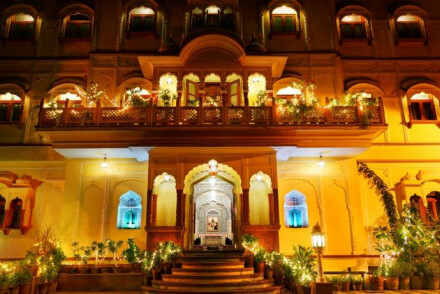 Jaipur's Narain Niwas Palace is an affordable palace hotel surrounded by acres of beautiful gardens. The building is comfortable as well as palatial and you're very well positioned for exploring the city. 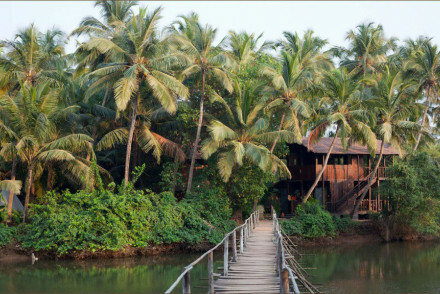 Corbett - Treetop Riverview enjoys a glorious setting amidst luscious wilderness and with splendid jungle views. Boasting smart and tasteful accommodation, including family suites, there is an outdoor pool, a restaurant and the oppourtinty to head off around the area on safari! Bed & Breakfast G-49 and G-54 are just up the road from each other, both very close to Humayun's tomb (in Delhi) and both reasonably priced, and colourfully and stylishly decorated. G-49 has one large family room which sleeps five. 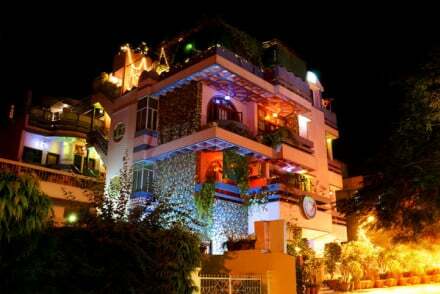 The Ahuja Residency in Sunder Nager, Delhi, is a legendary guesthouse well known for its simple, yet contemporary style and really friendly service. It's also in a great location for the main sights. The 15 rooms start from £69 per night. Clean, comfortable and quiet, The Regent Hotel is a great choice for budget travellers and groups. Breakfast is catered and you're right in Colaba, Mumbai's tourist centre, so there are plenty of places to eat nearby. Good value in India doesn't always mean basic, and the Alsisar Hotel in Jaipur is a great example. The hotel is beautifully decorated with traditional treasures and antiques, there's a shady courtyard and a lovely swimming pool. Rooms start from £47. The General’s Retreat, also in Jaipur, is a homely and comfortable guesthouse in a smart suburb with ten rooms starting from just £25 per night. 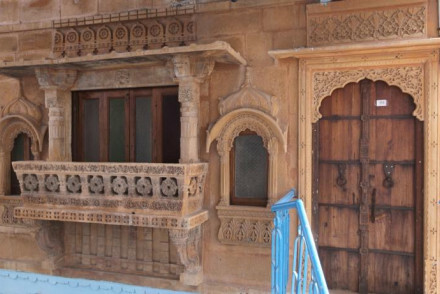 Jodhpur's The Blue House is an utterly charming spot, set in a 500 year old haveli run by the same family the whole time! With atmospheric and incredibly characterful rooms brimming with antiques, you'll be amazed that they start at just £14 a night. If you've decided that you'd rather the privacy of a self-catering option then browse through the wide variety available online with our partner Booking.com. There's no 'best time' to visit India per se as each region is affected by different weather patterns. If you're heading to the Himalayas then February to May is your best bet, Kolkata is nicest from October to January, whilst Agra, Delhi, Rajasthan and central India are best from October to March. Visit Mumbai and Goa from October to May and Kerala from September to March. India has four main airports: Mumbai, Chennai, Kolkata and Delhi. These are all well served by public transport links to their respective cities and the surrounding areas. Browse though our list of all the best places to stay in India. Narrow it down to look more specifically through our recommendations of the best places to stay in Delhi, Rajasthan, Gujarat or Goa. This Blue City family-run historical guesthouse would have European boutiques begging for the same charm, antique furnishings and intimate atmosphere. Charming, unique rooms with access to a rooftop restaurant. A prime spot for panoramic views of Jodhpur and the 15th Century Mehrangarh Fort. Local exploring - A fantastic part of the Blue City to base yourself for exploring the countless sights. Families - Welcomes all the family to stay, offering babysitting services with prior arrangement. Great walks - The 26 acres of manicured gardens within the walls of the Umaid Bhawan Palace make a memorable backdrop for a leisurely stroll. A delightfully calm, timeless oasis well located in this bustling and vibrant old harbour town. For travellers who favour good value, historical architecture with a story and a whiff of the colonial. 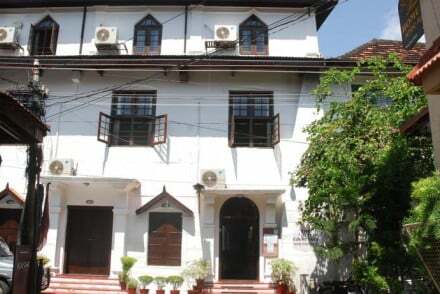 Sights nearby - Visit the nearby Santacruz Basilica Kochi. 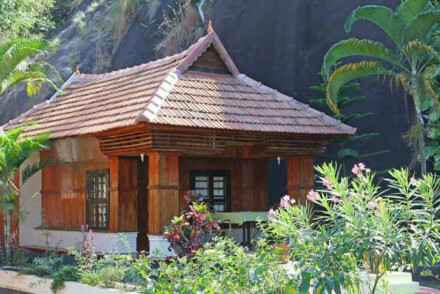 This restorative hilltop rural retreat is geared towards good value Ayruvedic (package) treatments. Basic lodgings put the emphasis on health and relaxation. Solo travellers and couples will enjoy the peace. Not for luxury lovers, ambience seekers or elderly with walking difficulties. Local markets - Explore the bustling local market at Kallikadu. Great walks - Beautiful walking in the surrounding valleys. Sights nearby - Take a trip to the nearby Neyyar Dam. Small but perfectly formed this three bed guesthouse is a home away from home. 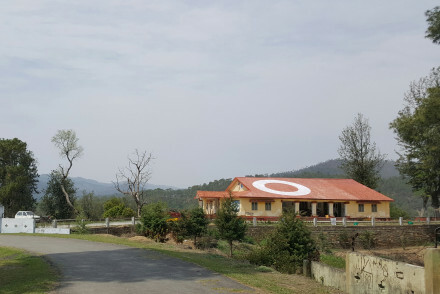 Providing 360° views of Hawalbagh and the surrounding valley and forests. Food is fresh, home-cooked and delicious. 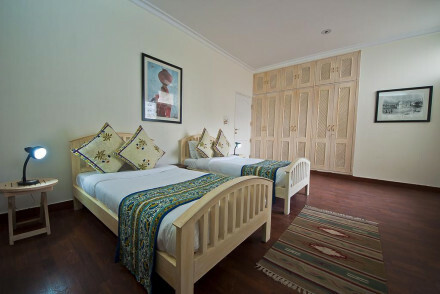 Whilst rooms are simple the relaxing atmosphere and charming hosts make Innisfree a delightful stay. Back to Nature - Your host is a self taught horticulturalist and a fountain of knowledge of the local wildlife. Great for enthusiasts. Hideaway - With minimal internet connectivity and no TVs this is a great property for those who want to get away from it all. Value chic - Clean rooms and delicious food at a great price. Great walks - Walk to the Katarmal Surya Mandir, a 13th century temple complex boasting great views. 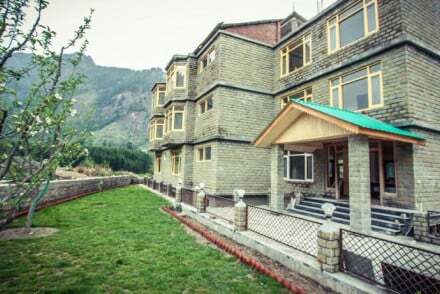 With views of either mountain or river this traditional hotel, built from local stone, provides a comfortable and great value for money stay. Rooms are spacious with large beds, parquet flooring and soft mauve hues. There is plenty to keep yourself and the young ones entertained on site. Sights nearby - The Hadimba Temple, built in 1553, is just 2km from town. Holistic holiday retreat. With accommodation ranging from value beach huts to colourful suites - there is something for everyone. A comprehensive spa providing Ayurvedic treatments and detox packages as well as Sattvic cuisine will leave guests feeling utterly rejuvenated. A luxurious yoga space. Located on a quiet beach this property provides barefoot, boutique luxury. Individual cottages decorated in dark wood and bright fabrics and furnishings allow for privacy and feature outdoor terraces with sea views. There is a spa, restaurant and a lounge and bar area, popular in the evenings. Local markets - The nearby markets have an eclectic array of clothes and jewellery. This 19th century abode provides guests with a characterful stay. Rooms feature antique Rajasthani beds with intricate tile work, traditional fabrics and views of the surrounding valleys. There is a formal dining room, great for groups and roof top terrace. Pick a book from the library and relax. Local markets - The central bazaar has a fine collection of jewellery, books, spices and other interesting artefacts. Hideaway - Located in the verdant Matheran forests this property is ideal for getting away from it all. Great walks - Embark on a nature trail with one of the hotel's dedicated guides. Located out of town amongst peaceful gardens, this resort of individual cottages is ideal accommodation for families. There is a large pool, kids playground, spa and gym. Four Seasons restaurant serves International & Asian cuisine. Rooms feature private terraces and simple yet chic decor. Sights nearby - Daulatabad Fort is an impressive sight and well worth a trip. Great walks - Explore the nearby Ellora Caves. With interiors designed by owner Christine Rai, well known in Delhi for her chic homestore, Zaza, boasting stylish rooms with colourful Indian paintings and artefacts. Bedrooms are bright and airy with smart, black slate bathrooms. There is a private dining room available to guests. Local markets - Old Delhi and its vibrant Chandi Chowk market is an eye opening visit. Make sure to see the Jama Masjid. Sights nearby - Humayan's Tomb is withtin walking distance. A deviation from the soulless aerocity stay. 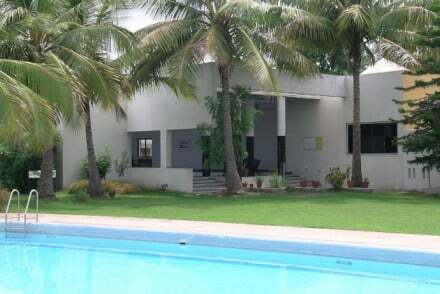 Located in Dwarka, just a short drive from Indira Gandhi International Airport. 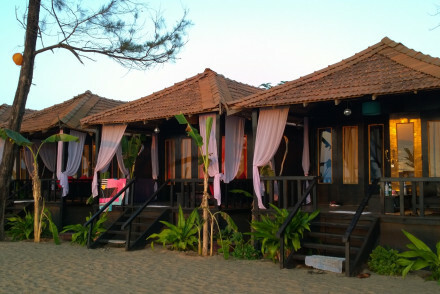 Rooms decorated in creams with rich accents, chick blinds and Indian artworks feature private balconies and bathtubs. An excellent breakfast is included. Great value.